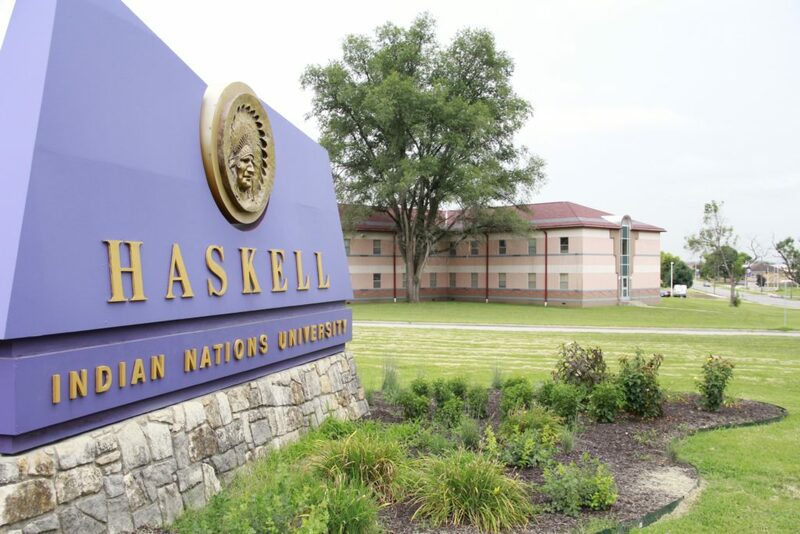 Haskell Indian Nations University has hosted countless powwows over the years. It’s never seen one quite like the powwow Bry Smiley has planned for this weekend, however. From 2 p.m. to midnight Saturday, Haskell will hold its first “two-spirit” powwow at Tecumseh Hall, 155 Indian Ave. The cultural event, Smiley says, is one of the first of its kind, a celebration of those within indigenous communities who identify as two-spirit. Although coined in the 1990s, the modern phrase “two-spirit” refers to a much older concept of gender fluidity. In Smiley’s tribe, Navajo, there are four identified genders: male, female, male with female attributes, and female with male attributes. Smiley, who’s from Arizona, identifies as nadleehi, quite literally “one who is changing or transforming,” or, essentially, someone who is born male but possesses feminine qualities. The concept predates and differs from western and colonial notions of gender, says Smiley, who prefers the “they/them” pronoun. 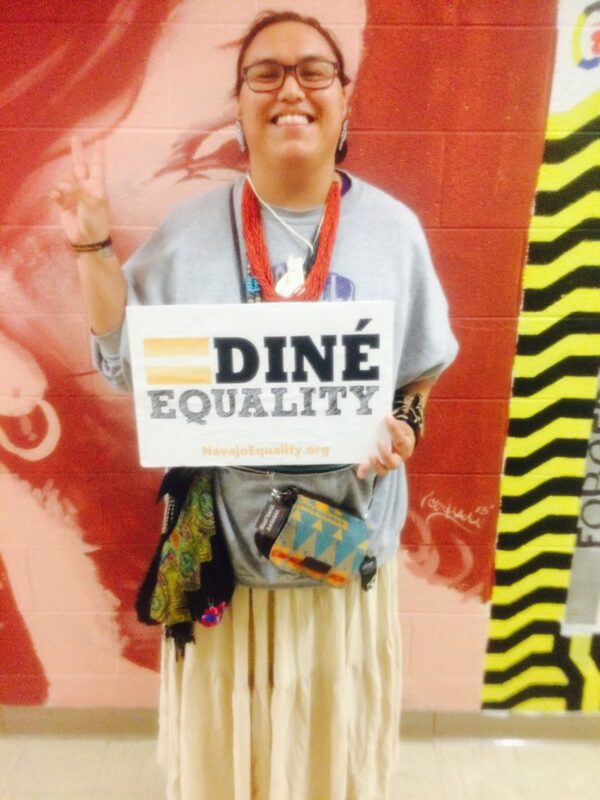 “The fact that tribal nations have their own gender structures is their own form of sovereignty,” Smiley says. 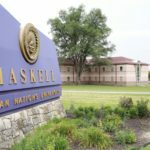 Bry Smiley, a senior at Haskell Indian Nations University, is the main organizer behind the university's first ever two-spirit powwow, slated for 2 p.m. to midnight Saturday, Feb. 24. Two-spirit refers to the Native American concept of fluid gender identities. Those who identify as nadleehi have long been revered in Navajo culture as leaders and as healers, Smiley says, and, like two-spirit people in other indigenous nations, were accepted for centuries until European influence began to creep in. Saturday’s powwow, funded by a $5,000 grant from the American Indian College Fund, will spotlight LGBTQ Native performers, including gay, lesbian and transgender dancers and others who fall under the two-spirit umbrella. 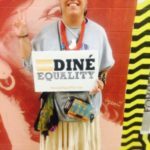 “It’s like you’re going to a regular powwow, but you’ll see these powerful people that are coming together to celebrate ourselves — not just to celebrate our identities but for everyone as well,” says Smiley, who worked with fellow organizers to book Native dancers and drummers from all over the country for the big powwow. Guests will also have a chance to peruse more than a dozen exhibitors and vendors, ranging from arts and crafts to food and informational booths. The Haskell Alaska Club will perform traditional dances at 4 p.m., followed by the powwow’s grand entry (a procession of dancers into the dance circle) at 5 p.m. Smiley is also planning a potluck for 7 p.m.
Smiley says “times are changing” at Haskell for two-spirit students, though there’s still progress to be made in terms of representation and engagement. “I’ve talked to a lot of people who have been working here at Haskell for quite some time, and they’ve seen the change, but there hasn’t really been a lot of voicing for two-spirit, LGBTQ people,” Smiley says. Smiley hopes that will change after Saturday’s powwow and also hopes the event will “flourish” in years to come. Bry Smiley, a senior at Haskell Indian Nations University, is the main organizer behind the university’s first ever two-spirit powwow, slated for 2 p.m. to midnight Saturday, Feb. 24. Two-spirit refers to the Native American concept of fluid gender identities.